The hard work has paid off for Gehrig Dieter. After spending nearly two seasons on Kansas City’s practice squad and not being selected through seven rounds of the 2017 NFL Draft, the native of Indiana received huge news on Sunday as the Chiefs promoted him to the 53-man roster. With the team suffering some injuries at wide receiver and releasing defensive back Josh Shaw, it had room to bring on a hard-nosed player. WR Gehrig Dieter has been elevated from the practice squad to the 53-man roster. Dieter was a champion throughout his collegiate career, whether he was at Bowling Green State University or University of Alabama. Listed at 6-foot-3, the underrated weapon tallied 1,875 yards receiving with 16 touchdowns on 154 catches combined at Bowling Green, Alabama and Southern Methodist University. 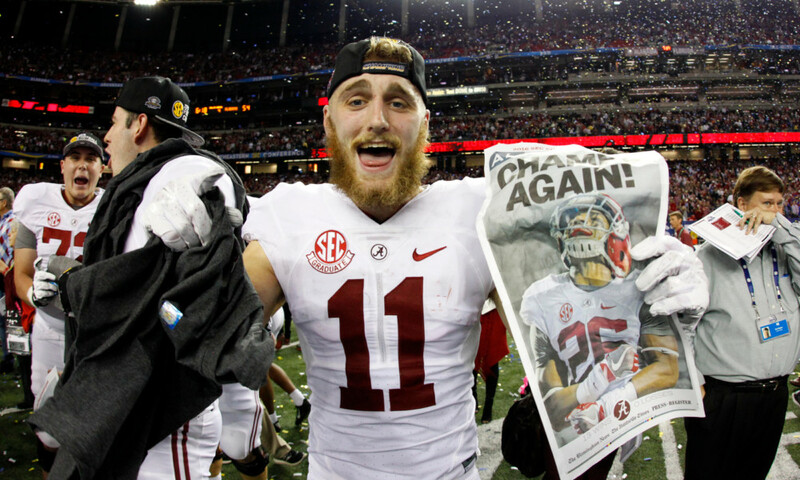 While his most productive year came with the Falcons, Dieter had an opportunity to participate in the College Football Playoff national title game in 2017 as a member of the Crimson Tide. He grabbed 15 passes that year from Jalen Hurts for 214 yards with four scores. Under the guidance of Nick Saban, Dieter was a fixture at receiver and had a role in both coverage and return game on special teams. He demonstrated the traits of an exceptional blocker, helping former Tide running back Bo Scarbrough totaled an Alabama bowl-record 180 yards with two scores on 19 carries in the team’s 24-7 win over Washington in the Peach Bowl. Since last year, Dieter has developed a solid friendship with Patrick Mahomes, II. He and the Chiefs’ starting quarterback were roommates in the offseason, and the two are constantly hanging out with each other. Along with Mahomes, Dieter gets a strong vibe from wide receiver Tyreek Hill and tight end Travis Kelce – both of which are team leaders. He has waited a while for this chance, and with head coach Andy Reid showing faith to make this move, things are about to get fun for Dieter and his family in Kansas City. He will suit for a pivotal matchup against the Los Angeles Rams (9-1) on Monday Night Football via ESPN.